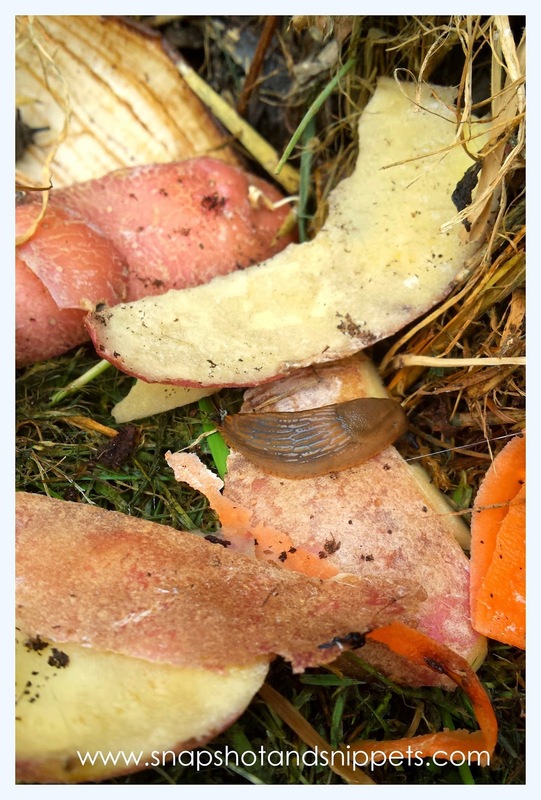 You are here: Home / Gardening / Slug Wars – 10 Ways to fight slugs organically. As I have called this “Slug Wars”, I should have probably left this post until May the 4th*but the slugs are in battle mode now and so am I. Being an Organic Gardener I don’t use chemical warfare or light-sabres, besides the various organic reasons. I have pets that I wouldn’t want eating pesticides by mistake. So I have spent many a long evening pouring over “Green” ways to deal with the little blighter’s and even got re-tweeted by the BBC Gardener’s world over my plea for help with my slug nemesis. Yes, my twitter went viral over SLUGS of all things !! I learnt a lot so here are a few methods I have tried with varying success. Thank you to all the Tweeters out there that helped. 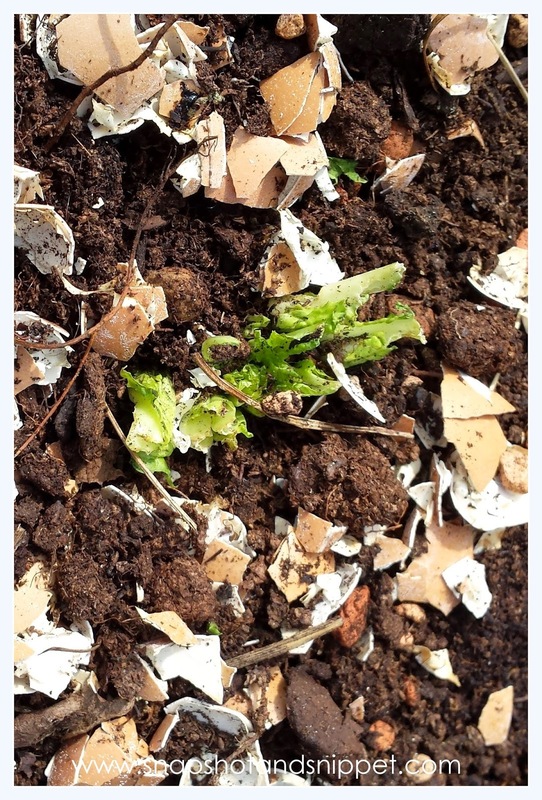 Crushed eggshells are supposed to deter them as they don’t like to crawl across them. I use them with limited success. I found two slugs on a plant surrounded by them but hey at least I know the eggshells give nutrients to the soil. Which apparently works because slugs are not big into caffeine and it can kill them in strong quantities. Which was great when we had a coffee-lover and who drank it all the time but last year they gave up coffee and only drinks tea, so a lack of coffee grounds is currently hampering that little experiment. 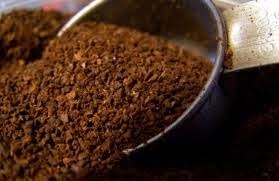 You can go to your local coffee shops and ask for leftover grinds. I put out small piles of peeling or banana peels or an older chopped up apple in the late afternoon and that night, my trusty torch and I go out and find all the slugs that have been attracted by these rich pickings (the neighbours must think I am nuts!!) but the slugs can’t seem to resist. Plus, the leftovers of veggies can go in the compost the next morning. This works very well – Slugs are stupid and I always catch a lot this way. These are little roundworms that love eating slugs and other nasty bugs. 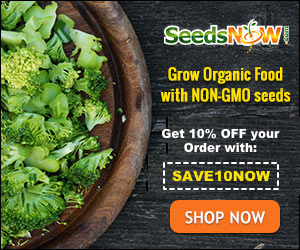 I actually plan on getting some next, they aren’t harmful to pets, your veg and are good for the soil. 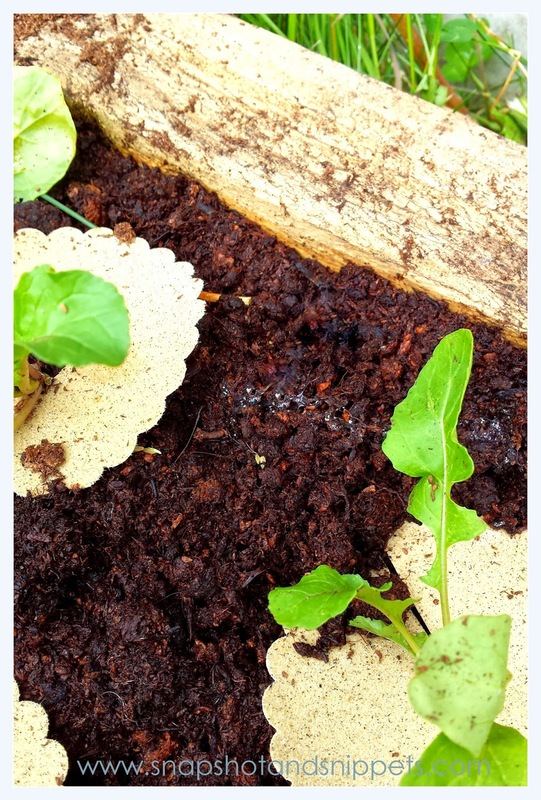 They can be expensive though which is a big drawback if you are on a budget and being a living animal they need to be stored and added to the soil correctly if they are to grow and kill off the slug population. I will let you know how I get on but gardeners rave about them so fingers crossed. I actually used it my first year and unfortunately it didn’t work for me but that could be down to the raised bed design. The theory behind it is the slugs don’t like to cross it as it gives off an electric shock. Let me know if this one works for you? Encourage animals that like to eat slugs, like birds and toads and frogs. 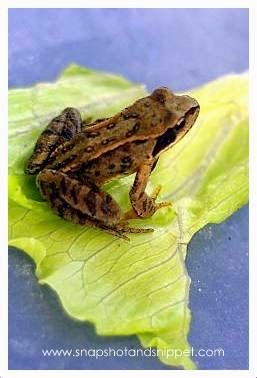 We actually had a Frog in the back garden a couple of years ago and is still a bit of a mystery how he got there !! Especially considering as he was not harmed, so unlikely to be the cat’s prey. He lived there for a couple of weeks with a makeshift pond but I took him down the river to find a mate in the end because it felt cruel. Encourage birds to eat your slugs – by putting out bird food and not having three cats would help a lot. A bit like the beer traps and the veggies, slugs seem to love cornmeal. If you put out jars of it they will eat it but they can not digest it and die. Put it in a jar on its side and the slugs will crawl in eat it and can be removed in the morning. Keep meaning to try this one just haven’t picked up cornmeal from the supermarket. Pouring sand on top of the soil will provide a rough barrier that slugs can’t tolerate sliding over. Pour the sand thickly around your plants, being careful not to mix it in( which is nearly impossible). This will work wet or dry and can be replenished when necessary. I worry about the sand altering the soil and it’s PH though. I came up with is the last one as I sat thinking about the sand idea. Although we had no sand I did have sandpaper. 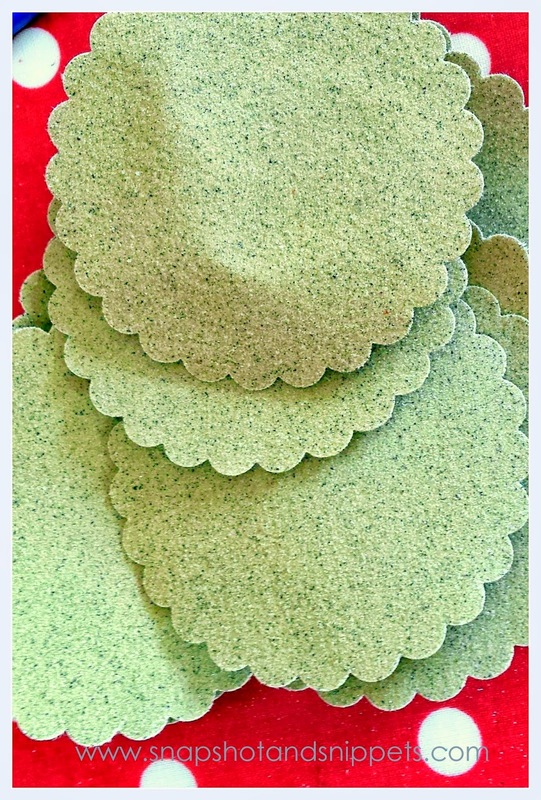 I had heard of collars for plants before and thought if I could cut some collars out of sandpaper I might give my lettuce seedlings a fighting chance. So I got out my biggest paper punch and cut a pile from the grittiest sandpaper I could find, and placed them around all the plants. It actually worked incredibly well the first night. I could see where the slugs had crawled up to the sandpaper but stopped. The main issue with the discs came the second night ( the night of the big rain !!). The collars got saturated and of course were not as effective, so you would have to have a steady supply and be willing to change them. So my Gardening friends how do you fight your battle with slugs, what is your weapon of choice? Or you can check out my Start Here page for more links to my pages or sign up for the Snapshot and Snippets newsletter below.